[S6] G.E. Cokayne; with Vicary Gibbs, H.A. Doubleday, Geoffrey H. White, Duncan Warrand and Lord Howard de Walden, editors, The Complete Peerage of England, Scotland, Ireland, Great Britain and the United Kingdom, Extant, Extinct or Dormant, new ed., 13 volumes in 14 (1910-1959; reprint in 6 volumes, Gloucester, U.K.: Alan Sutton Publishing, 2000), volume I, page 122. Hereinafter cited as The Complete Peerage. 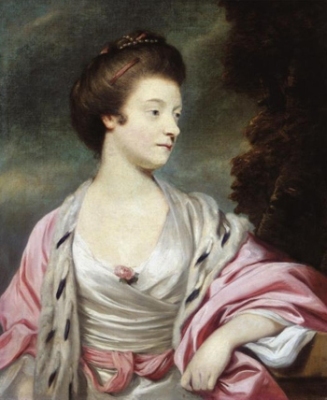 From 26 March 1767, her married name became Amherst.1 After her marriage, Elizabeth Cary was styled as Baroness Amherst of Holmesdale on 20 May 1776. From 23 July 1761, her married name became Archer.2 After her marriage, Sarah West was styled as Baroness Archer on 19 October 1768. Her last will was dated 5 July 1793. [S6] Cokayne, and others, The Complete Peerage, volume I, page 188. [S22] Sir Bernard Burke, C.B. LL.D., A Genealogical History of the Dormant, Abeyant, Forfeited, and Extinct Peerages of the British Empire, new edition (1883; reprint, Baltimore, Maryland: Genealogical Publishing Company, 1978), page 10. Hereinafter cited as Burkes Extinct Peerage.